LAKE CHARLES, La. 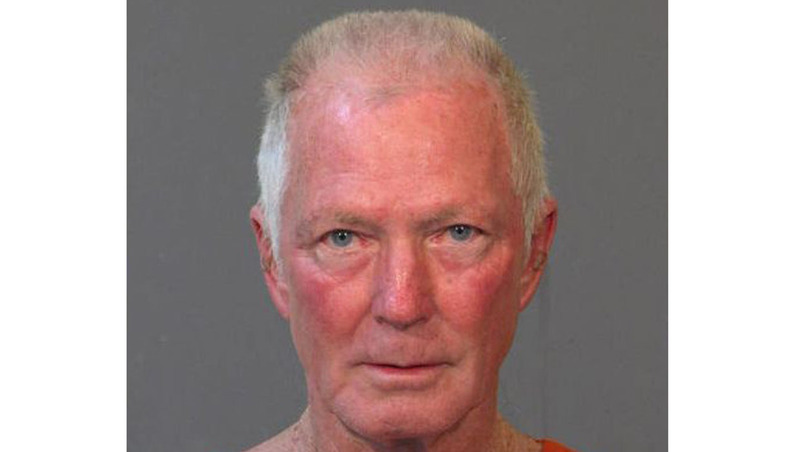 -- Nearly 54 years after a young woman died in southwest Louisiana, her husband is going on trial, accused of killing her. Felix Vail, 76, has also been eyed in the mysterious decades-old disappearances of his girlfriend and second wife. Jury selection is scheduled to begin Monday in the second-degree murder case against Vail, who faces life in prison if convicted on that charge. He has asked Judge Robert Wyatt to move the trial out of the southwest Louisiana parish where Mary Horton Vail died. Public defender Andrew Casanave said in an email that he won't speak to reporters until after a verdict because there already has been "excessive publicity" which he believes will make it hard to seat a fair jury. He referred a reporter to an earlier statement that a grand jury in 1963 found too little evidence to prosecute Vail, and all of the people who investigated him then are now dead. "Further, law enforcement lost every witness' statement, investigative report, and almost every photograph," the statement said. "The claim that there is evidence on which to prosecute is an insult to those good people who are now gone." Without the people, the investigators' reports and witness statements can't be brought in as evidence anyway, said prosecutor Hugo Holland. He said his 21 witnesses include a woman who was a stenographer for the Calcasieu Parish Sheriff's Office in 1962 and will testify about what she recalls Vail saying. Mary Vail had been homecoming queen at Eunice High School. She married Felix Vail on July 1, 1961. A year later, they had a son. She died on Oct. 28, 1962. She was 22 years old. Vail said she fell into the Calacasieu River while they were setting trotlines - unattended baited hooks dangling from a long line that is strung across a waterway, generally under water. He was arrested, but the coroner ruled the death an accidental drowning and a grand jury declined to indict. Vail, a native of Mississippi, was freed. In November 2012, The Clarion-Ledger of Jackson, Mississippi, published a series about Mary Vail's death and the disappearances in 1973 of Vail's girlfriend Sharon Hensley and in October 1984 of his second wife, Annette Craver Vail. The series quoted a pathologist who said photographs in Mary Vail's autopsy report indicated homicide: her neck and legs were bruised, and four inches of her scarf were in her mouth. Relatives told the newspaper that Mary Vail was afraid of water. That prompted the current Calcasieu Parish coroner, forensic pathologist Terry Welke, to examine photos of Mary Vail's body being pulled out of the river and review the 1962 coroner's report. "At a preliminary hearing, Doctor Welke testified that although he could not determine the cause of Mrs. Vail's death, the manner of death was a homicide," the state's 3rd Circuit Court of Appeal wrote. Vail was indicted in June 2013. Holland said witnesses will include forensic pathologist Michael Baden, who testified in O.J. Simpson's trial and was brought in by Michael Brown's family to perform an autopsy after the 18-year-old was killed by a police officer in Ferguson, Missouri. Prosecutors also plan to bring evidence tying Vail to the disappearances of Hensley and Annette Vail, who married Vail in August 1983, when she was 17 and he was 43. The 3rd Circuit ruled in November 2014 that Wyatt was correct to allow the evidence into court, and the state Supreme Court declined to hear an appeal. A member of each woman's family - Annette Vail's mother and brothers of the other two women - will testify, Holland said. "Defendant's first wife is dead," Judge John Saunders wrote for the appellate court. "Two other significant women in Defendant's life, Ms. Hensley and Ms. Carver-Vail, have not been seen in forty-one and thirty years, respectively. In all three incidences, Defendant allegedly was the last person to ever see them alive." Prosecutors say Vail had a reason to get rid of Hensley: the couple had been arrested after Mary Vail's son, Billy Vail, then 8 years old, walked into a police station and said "he had overheard his father tell Ms. Hensley that he murdered his wife," Saunders wrote. Vail had written Hensley's mother in 1974, telling her that he last saw Hensley in Florida in 1973, and "she had boarded a sailboat with another couple and sailed away to cruise the world," according to the 3rd Circuit ruling. After Annette Vail's mother filed a missing person's report in October 1984, Vail told police that he had dropped the young woman off at a bus station in St. Louis so she could travel to Mexico. Under the "doctrine of chances," Saunders wrote, the more often a defendant is involved in an "out-of-the-ordinary event," the less likely it is that they occurred by chance.